One can’t see it in the photograph, but directly over that small pine tree is a river, about five hundred feet down from where I am standing. I could just catch the occasional flash of light on it. 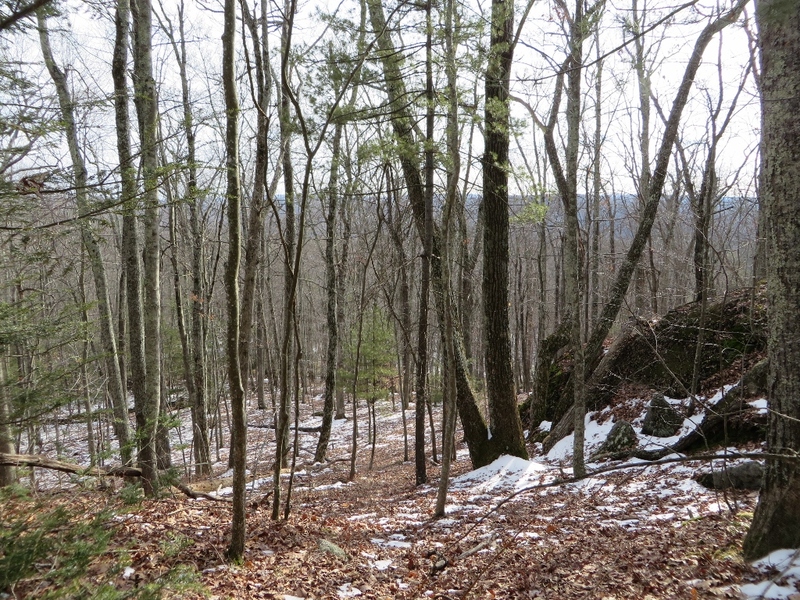 Canton Land Trust property, a nice hike.